Alex is currently a staff writer on The Great Indoors, for CBS. Alex can be seen performing stand up on season 1 of Seeso’s The Guest List. He won the prestigious Foster’s Best Newcomer prize at the 2014 Edinburgh Fringe Festival for his one man show, Millennial. 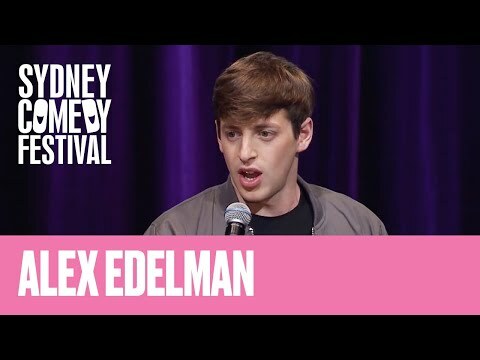 In 2015 he was named a "New Face" at the Just For Laughs Festival Montreal, one of Comedy Central's "Comics to Watch" in 2014 and listed as #10 on NY Magazine's "50 Comedians You Should Know in 2015". A regular performer at most of the city’s clubs, he tours both nationally and internationally and is one of the founders of Jerusalem's Off the Wall Comedy Club and a favorite on the UK festival circuit.